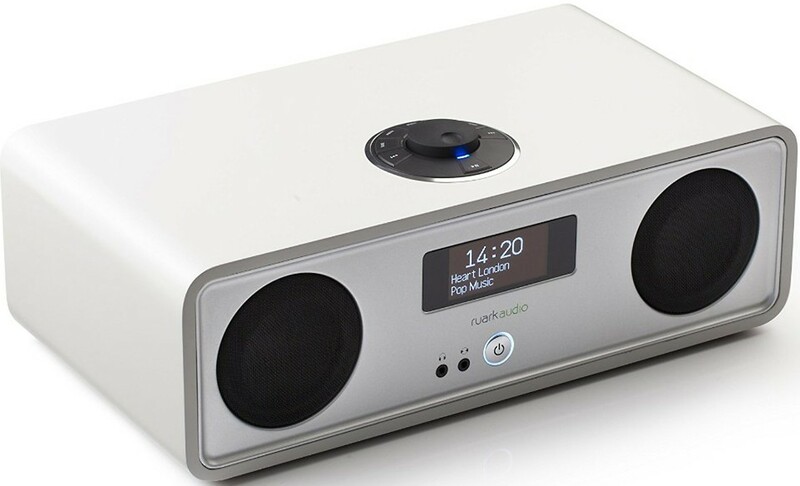 Ruark Audio R2 Mk3 DAB radio with Bluetooth and WiFi for internet radio is a smartly built and well thought out music system. The addition of Bluetooth aptX allows you to stream music from your smartphone or Bluetooth compatible music player. Most importantly, Ruark has ensured that sound quality is of the highest order from this system. Programme and set-up information are displayed with crystal clear clarity on the latest technology OLED (organic light emitting diode) display. 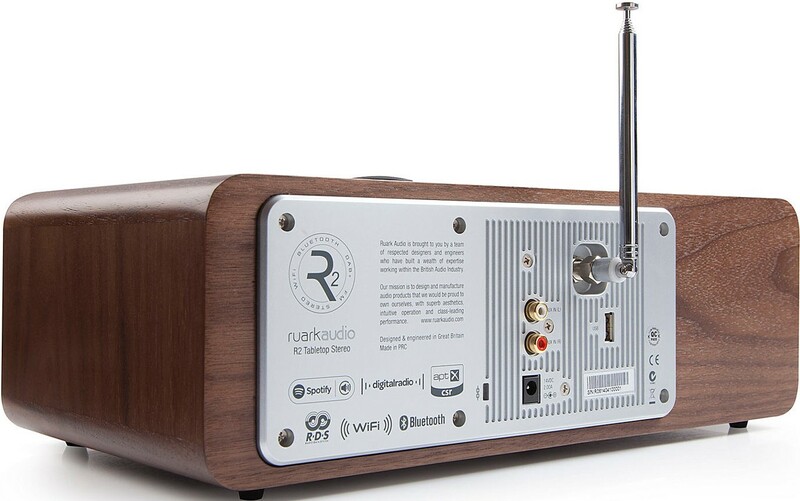 By employing a new display type, Ruark have managed to create a wonderful vivid display screen that can be viewed irrespective of the viewing angle, plus the brightness of the display can be manually adjusted, for both active and standby modes. 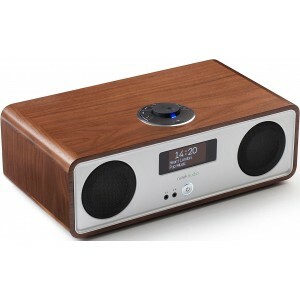 The new R2 DAB radio, not only sounds great but it looks really stylish too, making any room look great. But, the R2 will especially improve a bedroom. because not only will it add a sophisticated touch of class to the room, but it also has customisable twin alarms, so you can wake up to high quality sound, exactly how and when you want. Plus, the alarms have snooze function, and a sleep timer so you can set the radio to turn off at night, and give yourself an extra bit of sleep in the morning, should you wish. 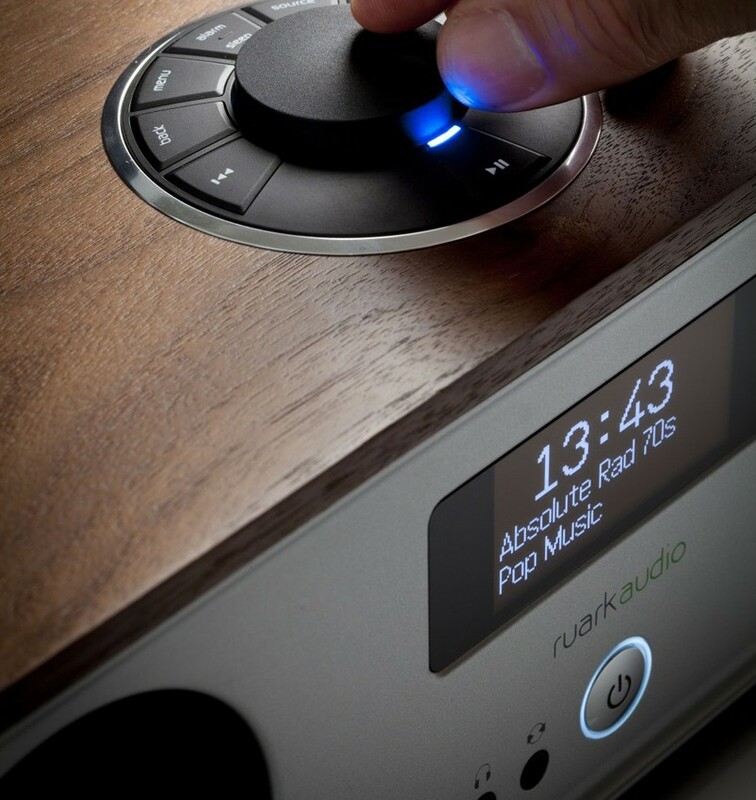 For Ruark, the button on their radio spoil the sophisticated style of their radio's, so they have created their own RotoDial control system as an elegant solution. 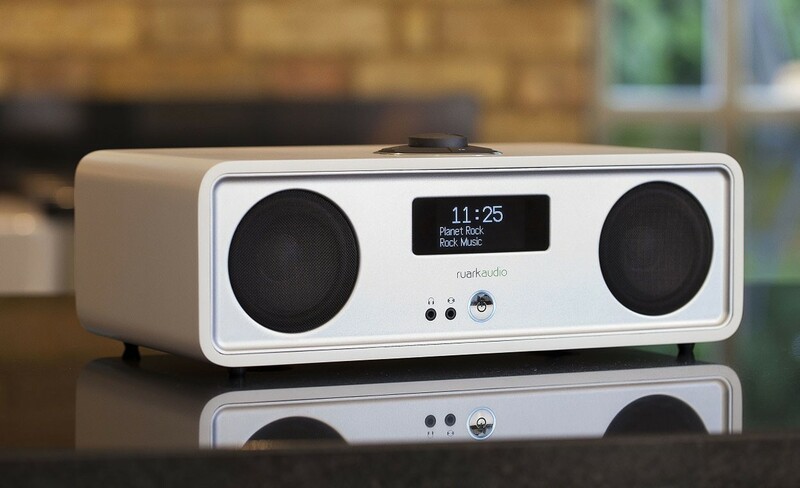 For the new R2 Ruark have evolved the RotoDial concept further so it looks and feels even better and with fewer buttons is even more intuitive to operate. 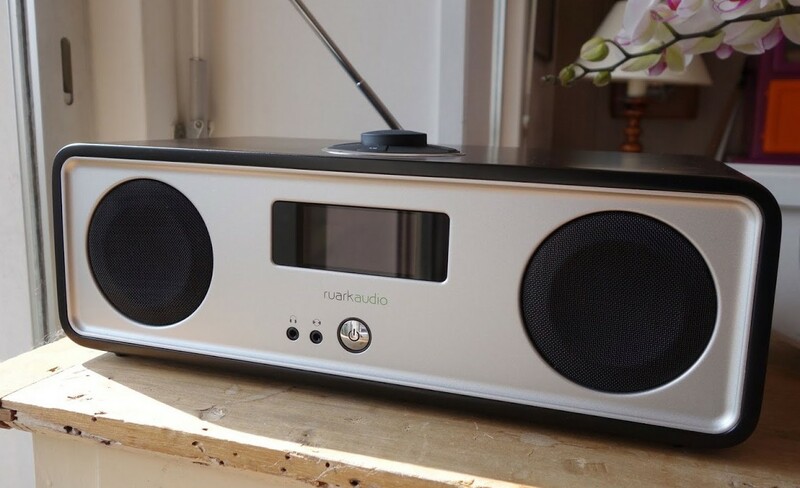 Using the new R2 with the RotoDial control is a pleasant intuitive experience, but Ruark have also included is a compact and stylish remote control, which can control and adjust all the R2 functions without having to leave your chair. 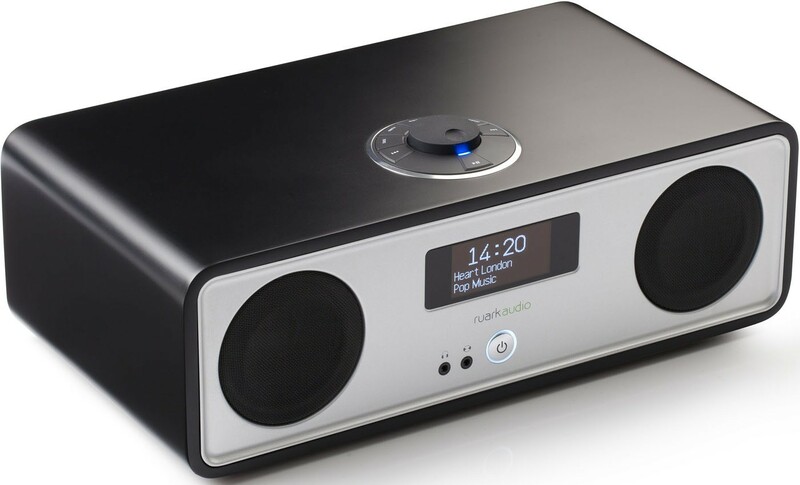 The R2 supports Bluetooth aptX which enables you to stream directly from Bluetooth devices straight to your DAB radio, with sound quality virtually indistinguishable from a wired connections. A significant amount of devices now support Bluetooth aptX, however, even without the latest Bluetooth the R2 is very impressive. In addition to aptX. the R2 MKIII is Spotify Connect ready, so if you have a Spotify Premium account you can select R2 as your player and then control playback using the controls on R2 itself. Even if the new R2 is turned off, when next turned on, simply by pressing the play button your music will start from exactly where it finished and all this happens even if your phone or tablet switched off. With access to over 20 million songs, with the Spotify app and a Premium account, you’ll be discovering new music and enjoying old favourites, everyday. The front panel of the R2 features a really useful headphone output, plus their is a switch so you can to line input, which allows you to easily connect auxiliary audio devices. A very useful and novel function with the headphone output is that the sound level volume is ‘remembered’ separately to the main speakers volume, so unplugging your headphones, the radio sound level is restored to the last used volume level. The rear panel has two high quality phono sockets, supporting the second switchable line input. The sockets on the rear of the radio are perfect if you wish to play the sound from a TV or MP3 player through your R2 radio, which will improve the sound quality, making films and MP3 files more enjoyable. Also on the rear panel is a multi-use USB socket; this can be used to charge your phone, but also it allows you to connect a USB memory stick or a hard drive and listen to your stored music through your DAB radio. 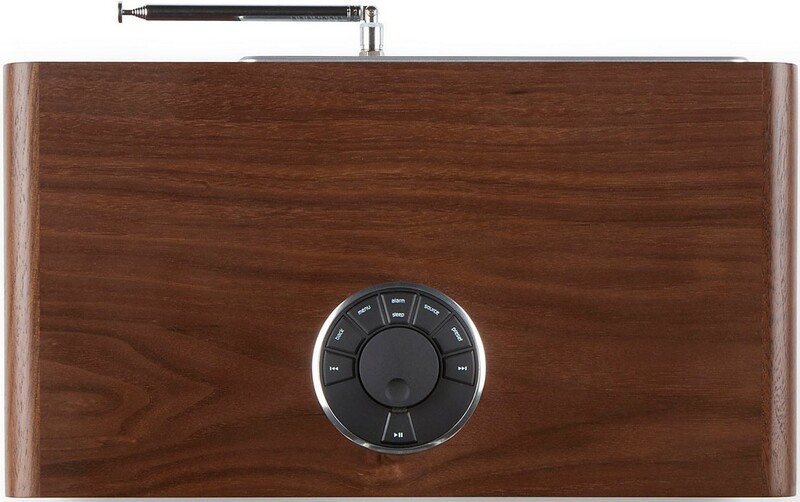 The new R2 enclosure is handcrafted from a careful selection of wood, metals and man-made materials. From loudspeaker design, it is known that wood is an excellent material for its acoustical characteristics, such as low resonance, ensures the sound quality is as good as it can be. Plus, the finish is either a luxurious walnut, a new modern soft white and soft black lacquered. The lacquered finish has an added benefit of looking great when it is combined with the cool steel front panel, and plus it is natural and warm to touch.